Energy Suspension shock and strut bushings allow you to control suspension movement during acceleration, braking and cornering. This greatly improves handling, stability and consistency. Energy Suspension shock and strut bump stops help prevent damage to your shocks or struts from too much suspension travel. Polyurethane is a soft enough material to prevent the damage of bottoming out, but it is strong enough not to distort and tear under heavy loads. 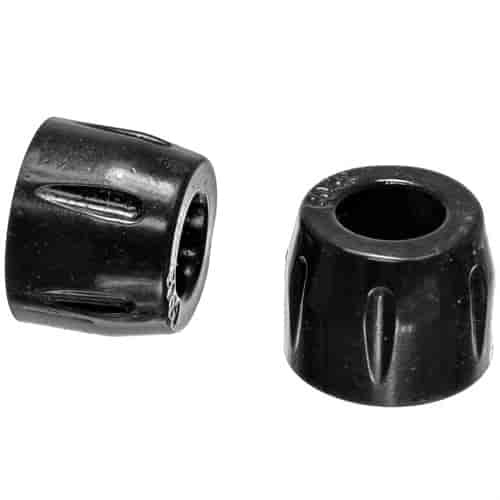 The high performance polyurethane construction provides stiffer and longer lasting performance than rubber bushings. They are easy to install, providing a quick and simple handling upgrade for your vehicle.